We'd love to see your photographs! As the saying goes, you have to be in it to win it. 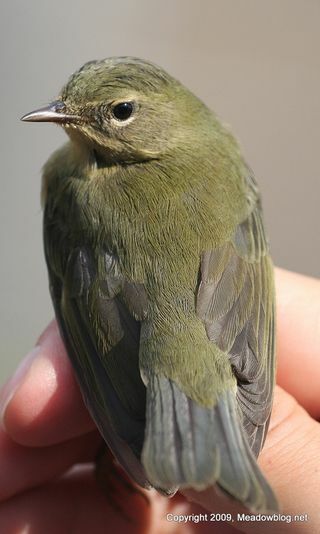 NJMC Naturalist Michael Newhouse and his ace band of bird banders banded this warbler this morning. 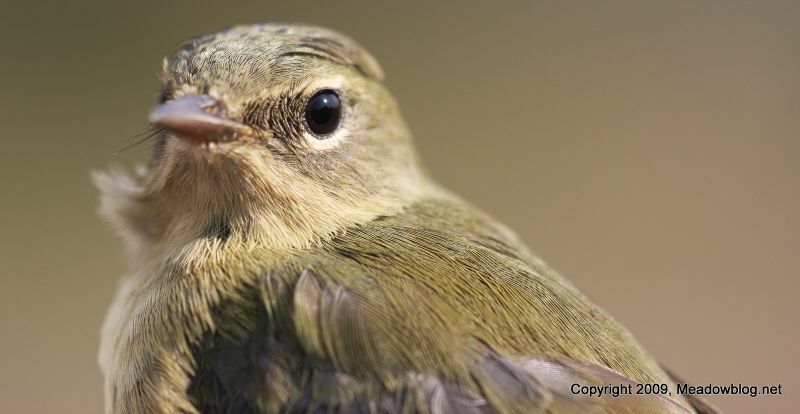 It appears to be a classic "confusing fall warbler." Mike and Co. have their hunches. E-mail blog-keeper Jim Wright here. We now have the November and December schedule for our First Sunday of the Month and the Third Tuesday of the Month walks with the Bergen County Audubon Society, and do we have some neat things in store. 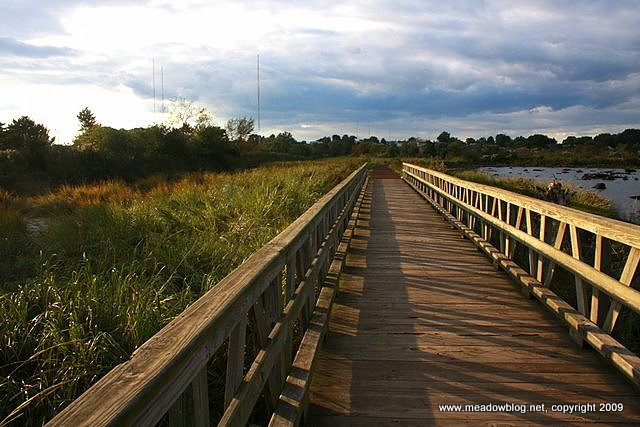 Highlights include Tuesday walks in two new spots — Mill Creek Marsh in Secaucus (above) and Mehrhof Woods in Little Ferry — and Sunday walks at DeKorte that include a "Winter Hawk Talk (and slide show)." Click "Continue reading…" for the full schedule.